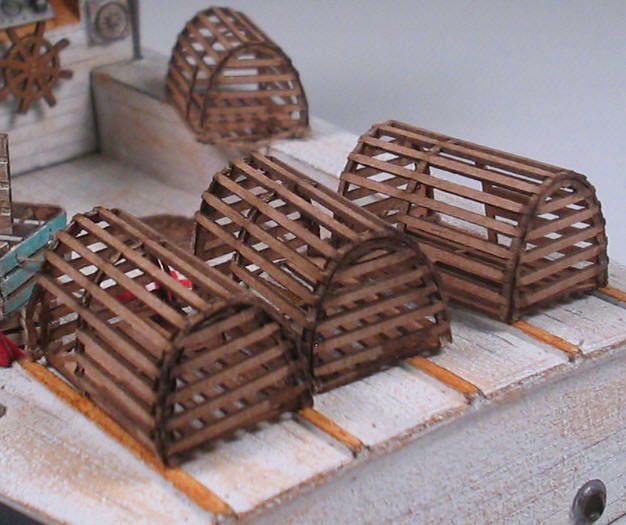 Detailed resin castings, rope, and our laser cut lobster traps make this a realistic and complete model. 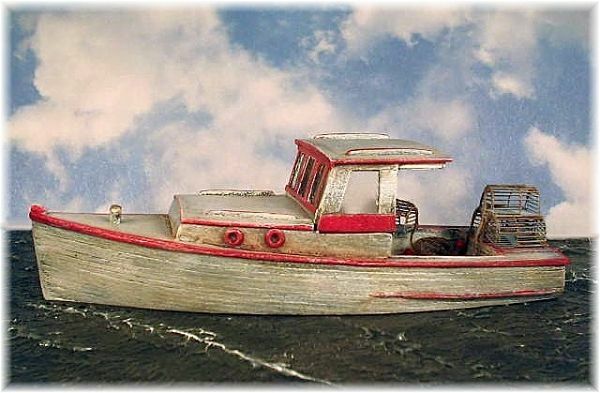 Our lobster boat kit would look great docked next to a fishing pier with a lobsterman unloading his catch of the day. Detail parts not pictured. Completed kit measures 4½"